If there’s one type of certification that’s hot right now in IT, it’s anything cybersecurity. There are plenty of reasons you should be learning about cybersecurity and pursuing a path toward security wizardry. Depending on your education level and location, you can earn an average salary of $86,000 USD annually. Here’s our take on why cybersecurity is going to be all the rage this year. It is predicted that $93 billion will be spent on cybersecurity in 2018. In addition, cyber threats are showing no signs of slowing down. While there is no such thing as an ability to be 100 percent secure, many strategies are moving beyond simply preventing security breaches to monitoring and detecting security threats. Moreover, organizations need to have a reliable incident response plan set up. Earl Perkins, vice president of Gartner research says, “Take the money you’re spending on prevention and begin to drive it more equitably to detection and response because the truth is that you won’t be able to stop every threat and you need to get over it.” Every day, cyber attacks are getting increasingly sophisticated. Cybercriminals are attacking everyone, from SMBs to enterprise organizations and government entities. There is also the threat of ransomware, which currently is one of the biggest cyber threats. In 2015, China hacked the U.S. government’s Office of Personnel Management — stealing social security numbers, job assignments, and performance ratings for millions of current and former federal employees. Plus, cybersecurity is a field constantly reinventing itself. If you were trained in internet security 10 years ago, you’re definitely going to have to take additional training today to update your skills. Since the fundamentals of a cybersecurity career change to meet demand, you get an excellent payoff. In 2016, the Pentagon tripled its cybersecurity staff. In addition, the FBI hired close to 1,000 cybersecurity analysts. Alec Ross, senior advisor for innovation at the State Department said, “If any college student asked me what career would most assure 30 years of steady, well-paying employment, I would respond, ‘cybersecurity.’” Plus, there is a shortage of educated cybersecurity employees. As a result, cybersecurity professionals can demand great starting salaries. Cybersecurity professionals are getting hired at three times the rate of the rest of the IT job market. Furthermore, cybersecurity professionals are getting hired at 12 times the rate of the rest of the job market. In fact, there is a need for 40,000 more cybersecurity professionals. Becoming a cybersecurity pro always starts with taking the first step, if you haven’t already. You can increase your cybersecurity skill set by going down CompTIA’s vendor-neutral certification path, starting with the Security+, moving on to the CySA+ (CBT Nuggets currently has training modules to help you learn about Threat Management and Vulnerability Management), and if you want to extend your cybersecurity prowess even further, taking on the advanced-level CASP exam. Or you can earn a variety of vendor-specific security certs to bolster your skills in the technologies you work closest with. 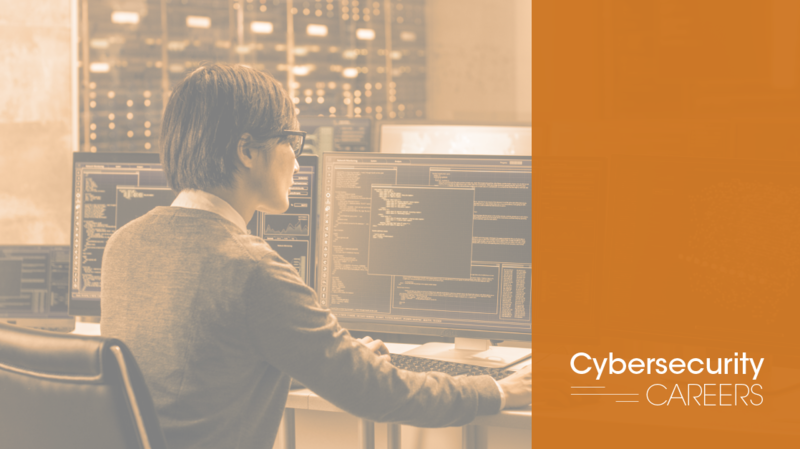 Because the demand is high for cybersecurity professionals, you will get paid top dollar for what you do. Still, a career should be about more than the money. Working in the field of cybersecurity, you get to do what you love and while making good money in the process. No, you would not receive any publicity and most people will never hear of you or what you do. You’re one of the few that are doing stellar work if nothing goes wrong. Nonetheless, your job contributes significantly to the safety of society. You are performing meaningful, intriguing and challenging work. Whether you work for the government or a private company, your job is to prevent online attacks that can paralyze businesses. Therefore, your expertise is needed to keep things running smoothly and without interruption. Things always change in IT — especially in the field of cybersecurity. It’s not boring, redundant work. It is fast-paced, sleuth-worthy, and at times, action-packed. You always have to be proactive against attacks, and that means staying several steps ahead of cybercriminals. At the end of your workday, you’ll take pride in knowing that you helped keep data safe. There is no question that cybersecurity professionals are in high demand. The job outlook is rosy, and the supply shortage makes for strong job security. Once you have the necessary skills, you’ll be juggling offers left and right. More importantly, you will be engaged in important and fulfilling work. For these reasons and many more, cybersecurity is definitely worth adding to your skill set.